September 10, 2013 - Approximately 30,000 adult pheasants will be released on lands open to public hunting for the upcoming fall pheasant hunting season, the New York State Department of Environmental Conservation (DEC) announced today. The pheasant hunting season begins on October 1 in northern and eastern portions of New York, October 19 in central and western portions, and November 1 on Long Island. For the seventh consecutive year, junior hunters (12-15 years old) have the opportunity to hunt pheasants the weekend prior to the regular pheasant hunting season. In western New York, the youth pheasant hunt weekend is October 12-13. In northern and eastern New York, the youth pheasant hunt weekend is September 28-29, and on Long Island (Nassau and Suffolk counties) it is October 26-27. Pheasants will be released on a number of selected release sites across the state to provide ample hunting opportunities for junior hunters. All current pheasant hunting rules and regulations remain in effect during the youth hunt. Please note that a 2012-13 hunting license is required to hunt during September, and a 2013-14 license is required starting October 1. All release sites for pheasants provided by state-funded programs are open to public hunting. Pheasants will be released on state-owned lands prior to and during the fall hunting season, and thanks to a partnership with New York City Department of Environmental Protection, at a number of sites on New York City Watershed lands. Pheasant hunting opportunities have also been augmented by private landowners who have opened their land to public hunting. 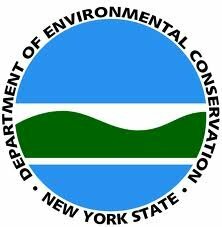 DEC is grateful for their help in providing a high quality hunting experience for New York's sportsmen and sportswomen. A list of statewide pheasant release sites and sites receiving birds for the youth-only pheasant hunt weekends can be found on DEC's website. The Day-old Pheasant Chick Program provides additional opportunities for pheasant hunters. This program was developed in the early 1900s to provide day-old pheasant chicks to cooperating 4-H groups and sportsmen and sportswomen. The chicks are distributed to program participants in May and June, and cooperators incur all costs associated with rearing the birds, including feed, water, utilities and facility construction. The birds are raised to adulthood and released on lands open to public hunting before the season opens. This year, more than 41,000 pheasant chicks were distributed statewide as part of this program. Anyone interested in raising and releasing pheasants to expand next year's hunting opportunities should contact DEC's Reynolds Game Farm at (607) 273-2768. Boundaries for pheasant hunting zones conform to Wildlife Management Units used for management of other upland wildlife. Wildlife Management Unit boundary descriptions can be found on the DEC website. In addition to knowing these unit boundary descriptions, hunters should review the 2013-14 New York Hunting & Trapping Guide for complete regulations and other important information before going afield. Hunters who plan to use private lands should ask permission from the landowner. Governor Cuomo's NY Open for Hunting and Fishing Initiative is an effort to improve recreational activities for in-state and out-of-state sportsmen and sportswomen and to boost tourism opportunities throughout the state. This initiative includes the streamlining of hunting and fishing licensing and reducing license fees, improved access for fishing at various sites across the state, and increasing hunting opportunities in various regions. Subject: LongIsland.com - Your Name sent you Article details of "DEC Announces Release of Pheasants for 2013 Hunting Season"